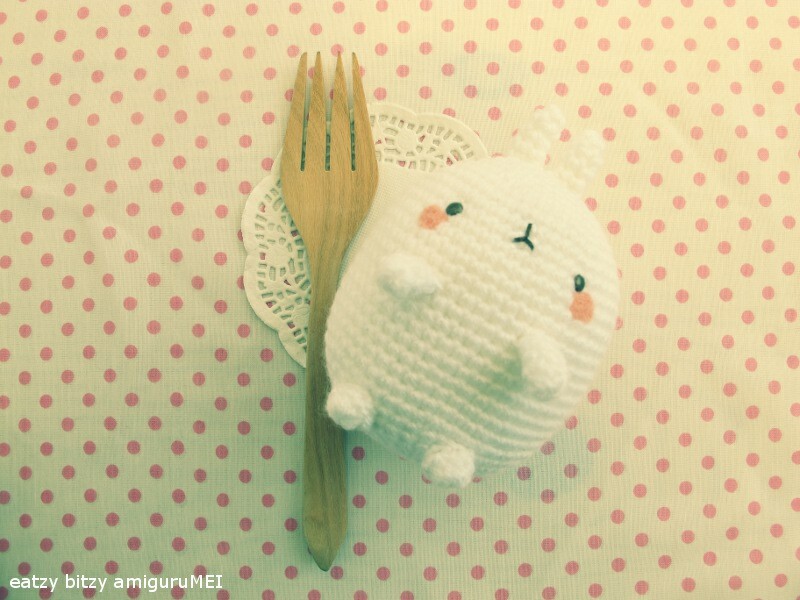 Meet Molang, the kawaii but grumpy fat rabbit from Korea! While lettuce may be his favourite food, he’s not at all opposed to nibbling a corner or two of onigiri from time to time. 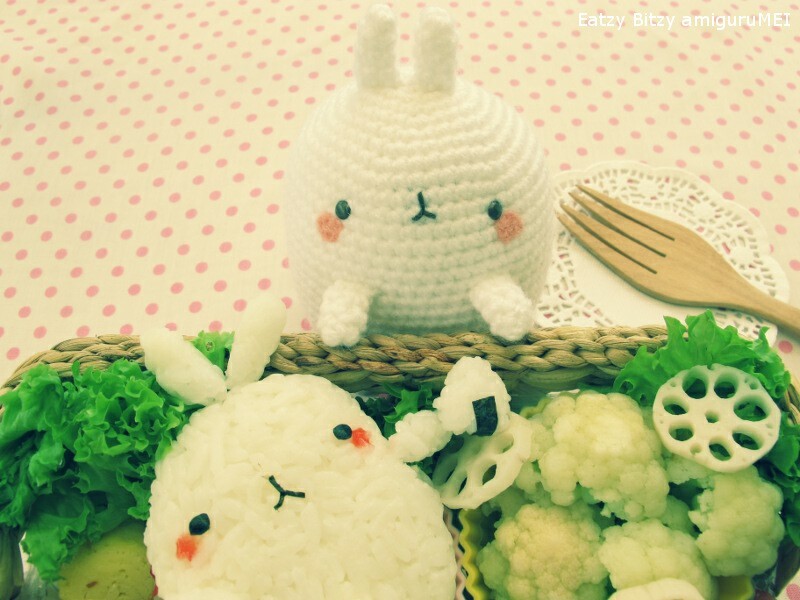 Meimoirs recently teamed up with Samantha Lee of Eatzy Bitzy for another charaben + amigurumi picnic adventure and had loads of fun witnessing the magic of rice being transformed into tubby little bunnies! Can I have some kimchi? Ugh…can you help me get up? 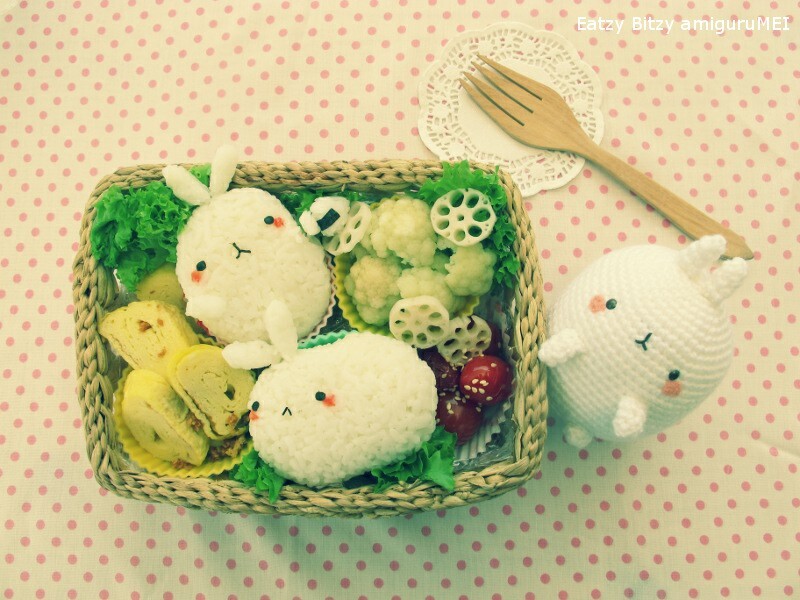 P/S Free amigurumi pattern for Molang will be out next week! Yay! ahn-nyeong hah seh yo! 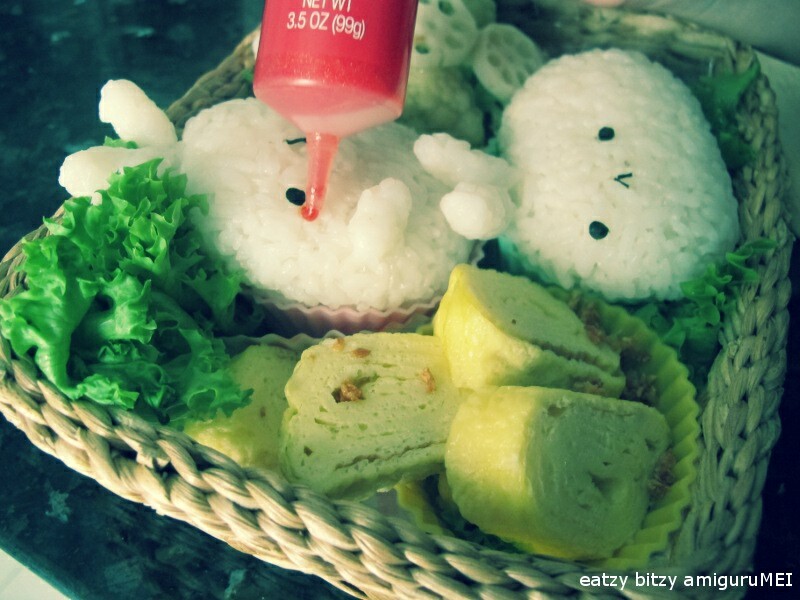 Still can’t get enough of this chubby Molang. That’s so cute. Will love seeing the pattern!